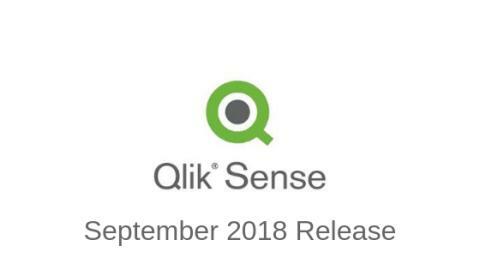 Qlik remains focused on Augmented Intelligence and the September 2018 Release expands the use of Insight Advisor to published Qlik Sense Apps, to encourage further data exploration across the enterprise. This is only the beginning of how Qlik will reshape the analytics community with the power of their Cognitive Engine, with more to come around AI in future releases. In addition, Qlik are furthering their commitment to delivering ‘QlikView like’ features in Qlik Sense focusing on Advanced Authoring. The September 2018 release offers additional advanced authoring capabilities that enable customers to build sophisticated data layouts while improving the speed of application development through ease of use. The September 2018 Release also offers the ability to move multiple apps from stream to stream which removes the previous limitations from the Qlik Management Console (QMC). Further, to which Qlik have made investments to improve performance and stability with upgrades to their open source front-end framework. The September 2018 Release will also deliver enhanced mapping capabilities including a new Density Map Layer that is very useful when mapping data on a highly localized and detailed level. The Density Map Layer is a multi-color gradient background where the color intensity depends on the weight and closeness of points. This map layer is useful for mapping data such as: crime statistics, house values, etc. The release does not stop there as they have made other general mapping improvements around additional controls and data inputs. For value-added products, Qlik have strengthened the capabilities of Qlik NPrinting around administration, expanded authoring, and improved security for report consumption. For example, you can now import users/roles from an LDAP source and, if desired, you can substitute the TLS Cipher suite. In addition, Qlik NPrinting now has session expiration log out, output of reports in .xlsm formats, and report level password protection. Qlik continue to expand connectivity with the addition of Microsoft Azure DB and Jira connectors, while also delivering enhanced security with LDAP authentication within the integrated connector to Presto. More to come later this month on additional SAP connectors! And finally, the September 2018 release addresses the mobile security requirements of large enterprise deployments, delivering full support for AirWatch EMM. As AirWatch is among the fastest growing EMM vendors, it is critical for Qlik in becoming a tier one vendor to integrate well with and support that platform. Prior to publication, it must be approved by Tahola.